Growing up in a military family, Donte understood the importance of good healthcare that allowed his parents to care for the family without fear of going bankrupts. To Donte, healthcare is a right for every Virginia family. 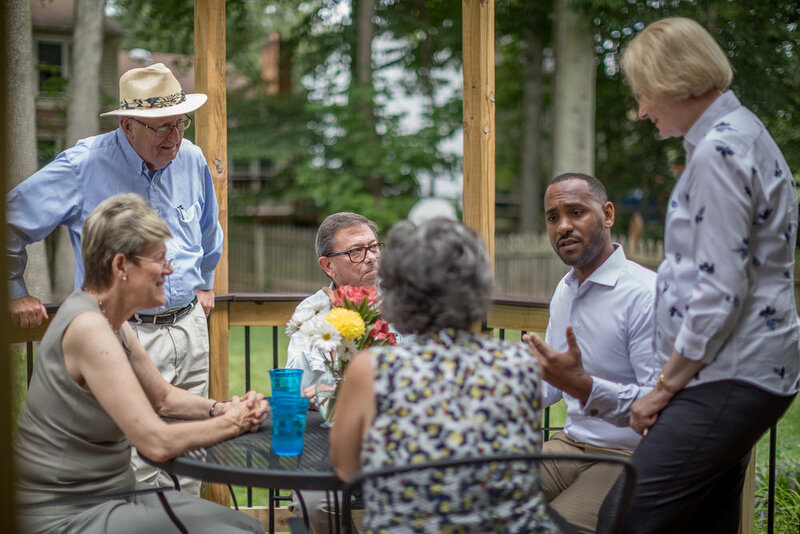 Donte will fight to ensure every Virginia family has access to affordable healthcare. Donte believes women should be able to make their own healthcare decisions, and believes in a woman's right to choose. Donte also believes that a woman should earn equal pay for equal work. For Donte Tanner, women should make their own healthcare decisions, not Richmond politicians. Donte will also fight for equal pay for women in Virginia. With partisan re-districting efforts, politicians in Richmond are deciding who gets elected, not the voters. Our current system encourages partisan bickering, political grandstanding, and not getting things done for Virginians. Donte believes it’s time that the voters finally gettheir right to elect their representatives back. Donte will fight for independent redistricting reform to ensure we draw districts that promote problem solving, bi-partisan solutions, and putting people before politics. Fairfax and Prince William Counties are home to some of the best public schools in the Commonwealth of Virginia. Donte will fight to ensure public schools stay public, that they are well funded, class sizes are kept low, and we invest in our teachers to attract and retain the best educators in the Commonwealth. Donte will continue to be a proponent for our children by prioritizing the integrity of our public schools. Donte spends hours, every day, stuck in the same traffic as you. 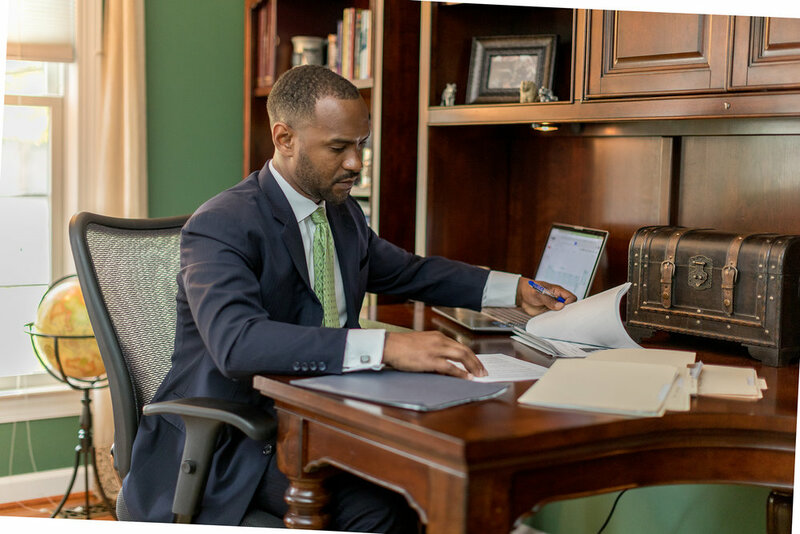 Donte understands that time spent sitting in traffic is time we could be spending with our family, getting our work done, or even just relaxing! Donte will fight for common sense solutions for reducing traffic to ensure we spend more time with our families and less time on the road. Donte became a budget expert as a Captain in the Air Force, where he learned smart budget savings can preserve countless jobs. He used those skills as a small business owner here in Centreville. Donte is ready to bring his combined experience of fiscal responsibility in the Air Force and Business world to Richmond, and will make sure our hard-earned tax dollars are spent wisely. The current system in Virginia allows campaigns to spend their funds freely, on anything they like, even if it’s not related to the campaign. This has opened the floodgates to a lot of elected officials using their campaign accounts as personal slush funds. Donte will fight to bring integrity back to the political process in Virginia by ending this practice. With President Trump taking the United States out of the Paris Climate Accord in June 2017, it’s now more important than ever for the Commonwealth of Virginia to be the leader on fighting climate change. Donte will fight for growing Virginia’s green economy, keep our air and water clean, and ensure that we leave the world in a better place. As an Air Force Veteran, and the son of a Navy Veteran, Donte understands the commitment our veterans have made to this country. Virginia is one of the most veteran-friendly states, but we can do better to provide healthcare and housing for those who've served. Donte will fight for Virginia's veterans and their families.